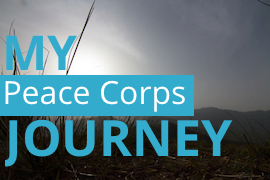 Shortly before I departed for Cameroon in September 2014, I spent many hours reading blogs written by Peace Corps Volunteers serving in Cameroon so that I could be well prepared for my service and know what to expect. I went to Peace Corps events in my hometown so that I could meet Returned Peace Corps Volunteers and learn more about their experiences. I asked many questions in a Facebook group for volunteers who were departing to Cameroon at the same time as I was. While one could spend so many hours trying to digest so many information to be well prepared for integrating into a culture that is so different from our own culture and living in a new environment, the experience will be different from what one may imagine. While you may face cultural shocks when first arriving in Cameroon, you will also discover many beautiful treasures in this country. You will meet new people who will become your best friends and will teach you how to love Cameroon. You will find gorgeous sceneries that are worth photographing which includes starry nights, sunrises over the mountains, and waterfalls. You will eat tasty food such as beignets, spaghetti omelet, fresh beef skewers, and fresh grilled fish. You will hear vibrant music and learn new dances. You will build great partnerships with Cameroonians who are so motivated to see positive changes in their communities. I work as a Community Health Educator. The work of health volunteers is very diverse. While some volunteers like myself work for an NGO in a large city, some others work for a small local health clinic in a village, a large regional hospital in a city, or an HIV treatment center in a town. We work with various populations which includes people living with HIV/AIDS, orphans and vulnerable children, persons with disabilities, mothers, adolescences, and girls. However, we do all share a commonality in our work – we provide education about various health topics such as HIV, malaria, nutrition, maternal care, and sexual reproductive health to our community members. We organize a group of community members to come together at a local health clinic or outside by a shop and teach them how to prevent HIV and eat well-balanced diet meals. We visit homes to check to see if community members are using their mosquito nets and explain the importance of sleeping under them. We visit schools and care groups and teach them about sexual reproductive health and family planning. Some also do vaccine campaigns and assist healthcare workers in visiting homes to provide vaccines to children. Some also set up HIV testing events to provide free-HIV testing to community members. Some also speak on the radio to raise awareness about various health topics. Because we organize so many exciting projects and activities, each work day is unique. No day is the same. While you will learn about the Cameroonian culture, Cameroonians will also learn from you about the American culture. I taught them how to make pizza, brownies and chocolate chip cookies, and they loved them. I also hosted American holiday celebrations such as 4th of July and Thanksgiving to teach them about US history. I brought printed pictures of my family and home life in the US so that they could see how Americans live their life in the US. Most of the Cameroonians who you will meet will have otherwise never met a foreigner if it weren’t for our courage and willingness to live in far-flung places. You will be challenged but you will be rewarded. Let your Peace Corps service surprise you. Don’t underestimate your own abilities. You will realize that you can push yourself against various barriers you may face. However, give yourself patience when integrating into an unfamiliar community. Give yourself time to grow professionally. Every volunteer is an individual who thrives differently at their own pace. While you may face frustrations when implementing projects or speaking a language with which you did not grow up, you will eventually see positive moments such as community members exhibiting improved knowledge through tests that you may administer, utilizing their newfound knowledge by making soy milk or growing moringa, or changing their behavior and sleeping under the mosquito nets. Your two years will be both your longest and shortest time of your life. I really enjoyed reading your letter and positive encouragement for the new Peace Corps volunteers arriving soon! I hope they take your positive advice! !